UK EU Removals are the moving experts and offer removal service in London and the surrounding area to suit every client requirement. We offer high quality services for small jobs to full scale office or home removals. Our teams are highly experienced professionals and are ready to assist you with all your moving needs. Of course our whole service is comprehensively insured, so in the highly unlikely event of anything going wrong you can rest assured that you will be fully compensated. Moving home is stressful! With so many variables to contend with, having an affordable and reliable removal company is an essential. 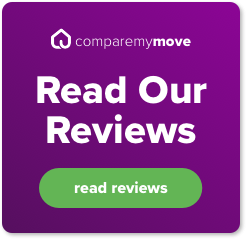 Our friendly and professional team don't just provide stress free removals, we go far and beyond to make your moving experience enjoyable and easy! Office move can be more stressful than a house move, especially for owners of a small business or office managers with overall responsibility for a move. We understand that office moves have to run as smoothly as possible with the aim of causing little or no disruption day to day activities. Moving antiques and fine art can also be nerve racking however with UK EU Removals it doesn’t have to be. You can relax knowing that you’re engaging a trustworthy and reliable removal firm with a strong reputation for perfection. To ensure the safe removals of antique furniture and artwork, the materials we use include cardboard, various different types of bubble wrap, loose fill and wooden crates. Moving in itself is quite a long process if you come to think about it. But moving internationally, incure new challenges for you and your family. We have tried and tested process that we have been providing to our clients and for years, we have done international moving with great success.